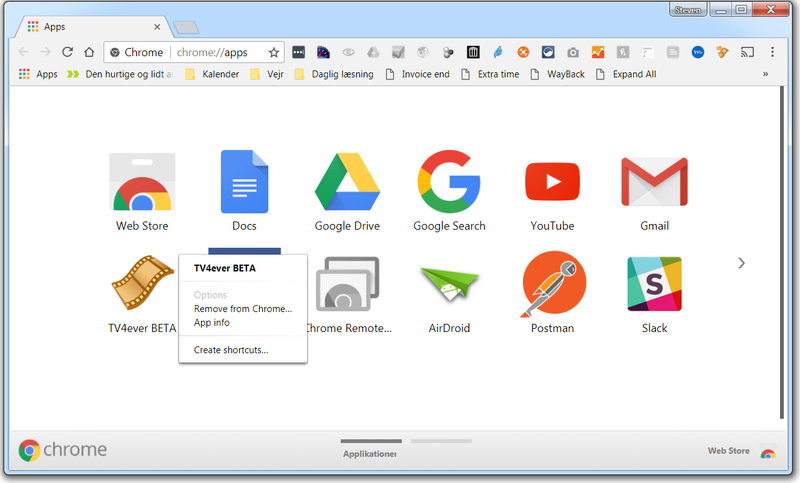 The fastest route to the Apps page is CTRL+SHIFT+B to show the bookmark toolbar. Apps is always the first bookmark. Right-click on the TV4ever icon and choose Remove from Chrome.